Boil water in half the time, even when you're watching the pot. This cooktop's induction technology transfers energy directly into any magnetic cookware, for faster, more energy-efficient cooking, making this our most efficient cooktop ever. Because the cooking surface cools down fast, spills wont bake onto it. This efficient 24-inch electric induction cooktop also uses 25 percent less energy than traditional ceramic glass cooktops and 58 percent less energy than traditional gas cooktops*. Automatic pan detection even senses when your cookware is on the cooktop. So you get superior results in a fraction of the time, every time. This innovative microwave hood combination gives cooks more room to create beneath its low profile cabinet, illuminated by dual LEDs. It delivers powerful ventilation coverage from two powerful 500 CFM Motor Class fans, capturing cooking smoke, grease and odours. Whisper Quiet ventilation let's you create without distraction. 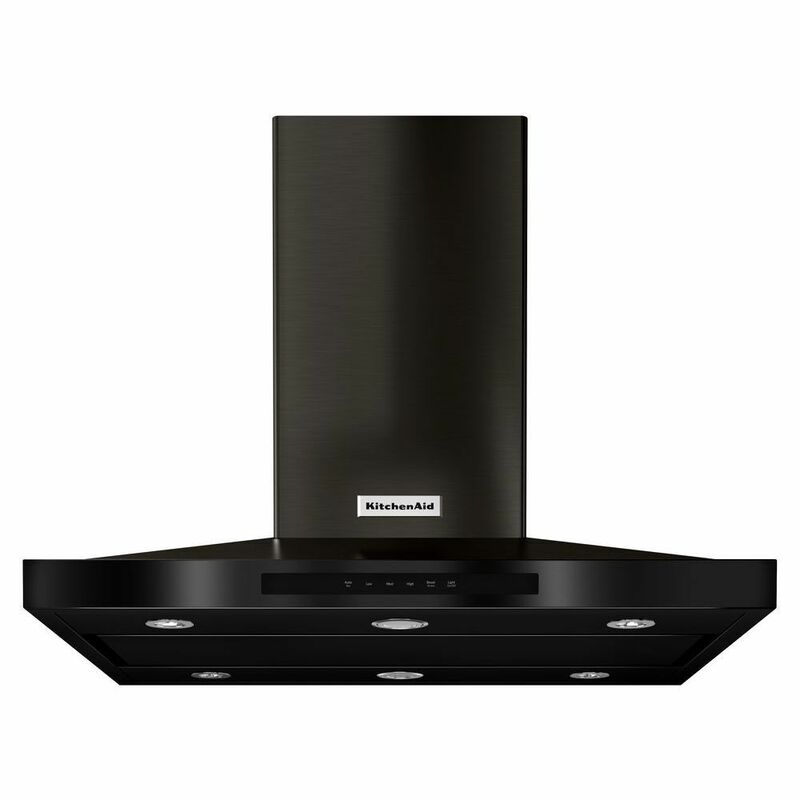 This 36-inch KitchenAid range hood offers a slide-out ventilation system that makes it an ideal choice for the home chefs seeking an integrated solution. The sleek glass canopy remains flush with surrounding cabinets when not in use, the 400 CFM motor clears the air easily of cooking grease and odours, and the electronic controls and LED lights make the system incredibly simple to use during meal preparations. This 36-inch electric cooktop combines the lasting beauty of the CookShield Finish with the performance of a 10-inch Even-Heat Ultra Power Element with Simmer Setting, two 6-inch Even-Heat Elements with Melt Setting, and 12-inch/9-inch/6-inch Triple-Ring Round Element that maximizes your flexibility with three distinct rings to allow for element selection based on cookware size. Black Stainless, 36 Inch Island-Mount, 3-Speed Canopy Hood is rated 4.5 out of 5 by 48. Rated 5 out of 5 by DCH from We are very pleased with how quiet the range hood... We are very pleased with how quiet the range hood is. Even on low speed it draws the air quickly. The only problem was the instruction manual. I self installed and the details for installation were vaigue. Through trial and error the installation came out great.